Ordering off-menu is every chef’s worst nightmare. Seeing nothing but meat on the menu is mine. The kitchen became quiet. My mother eyed my father across the table. My eyes welled up. I couldn’t figure out how this information was coming from my mother, who took me to pet the farm animals at the county fair and introduced me to the book “Charlotte’s Web.” This was going to be a real problem for me, someone who positioned the bacon bits bottle up to my open mouth and tapped it for hopeful crumbs. Maybe my mother thought it was best for me to know the truth, but from then on, I never ate meat again. It seems funny to reflect on this now, when nearly every restaurant has something vegan or gluten-free, but this was Ohio in the 1980s. I still don’t know how I survived. Words like tofu and quinoa hadn’t made their way to the Rust Belt yet. At birthday parties, I often went hungry because parents forgot I was that weird kid who didn’t eat hamburgers and hot dogs. When my family showed up at wedding receptions, I eyed the buffet, hoping that maybe this time I’d get to eat something more than a boring romaine salad or dinner rolls with cold butter. My mother tried to make sure I always had something to eat. She had to, after she fried all my bacon dreams. I distinctly remember the color of the floor because that’s what I was starting at while my mother tried to convince the employees to do what she asked. Although I never once considered eating meat, I was still humiliated. We waited as the folks behind the counter debated how exactly to make my grilled cheese and what to charge, our clothes and hair soaking up the smell of animal grease that my French fries were surely bathed in. The grilled cheese was as flat as a pancake. They had taken a hamburger bun, flipped it inside out and pressed it down onto the grill to melt the cheese inside. It was delicious, probably because they cooked it alongside the burgers. Sometimes we ordered at the drive-thru to save me the embarrassment. When the warm bag was finally in my hands, my mother always made me open it before we left to make sure they hadn’t messed up. Usually, they did, and we drove back around so my mother could explain their mistake. I handed the bag with the hamburger to my mother so we could give it back, but she told me to keep it. The summer I graduated from college, I worked as a hostess at The Buff, a restaurant in Boulder. It was strange to be on the other end for once. I liked hearing stories of all the odd orders that servers got. It made me think of my mother. When I look back on our time at McDonald’s, I see that she was showing me it was OK to be different, though all I wanted was to just be like everyone else. Recently, I ordered a grilled cheese at my favorite local restaurant. Pine overlooks the green at Dartmouth College and exudes the coziness of a fancy ski lodge, with soft lighting that disguises wrinkles better than Botox. My grilled cheese wasn’t on the menu. The chef sliced my sandwich on a diagonal, with one piece propped up one another. If my mother were still alive, I would have texted her a photo. 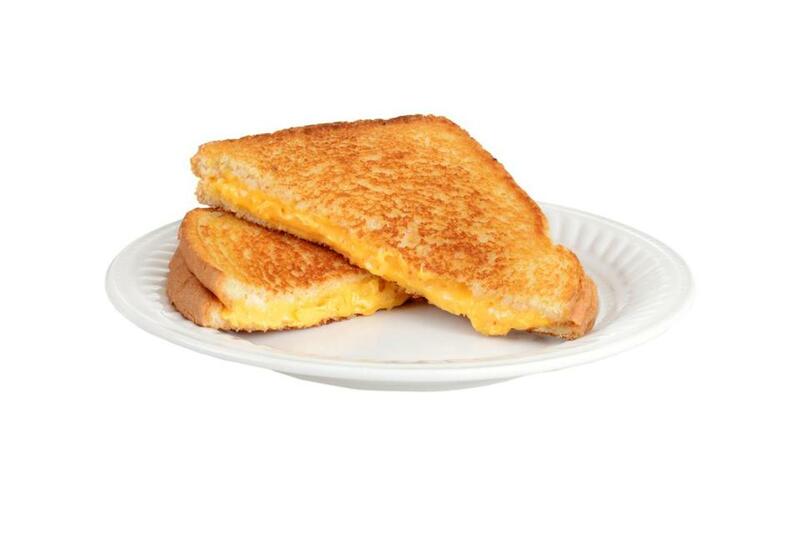 The outsides were buttered a crisp golden brown, with white cheddar oozing out the sides. Each bite echoed in my ear, quiet and delicate, like the crackle of thin tissue paper. At $16, it was a lot more expensive than McDonald’s. But my mother would have been proud. Betsy Vereckey can be reached at Betsyvereckey.com.